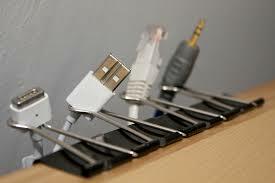 HomeLife HacksOrganize your cables using Binder Clips! Are you tired of searching for your printer cable to connect to your Laptop? How about searching for your modem cable to connect your Laptop to the Internet? Or searching for any cable for that matter?…I have the perfect way to solve all of those problems. You can now organize your cables using binder clips! I know that we are all used to using paper clips while the binder clips always get left behind but now there is a reason to keep them. 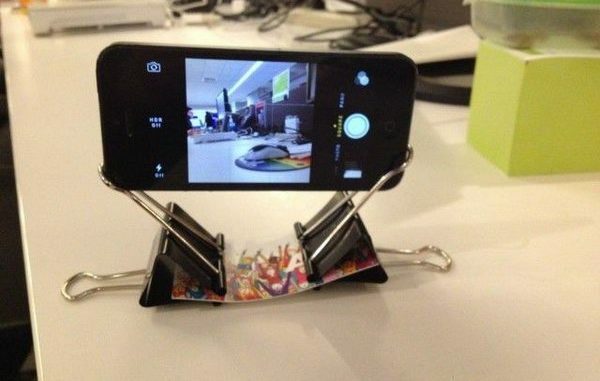 Simply clip them on the side of your desk and slide your cable through the top of the clip so that is stays. And voila! You can line up as many cables as you want based on the amount of binder clips you have! Wait…there’s more! 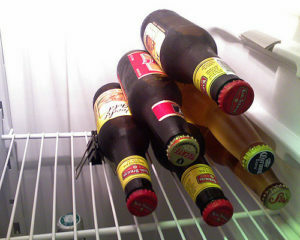 You can also use binder clips to help stack bottles in your fridge. Simply clip your binder clips to the rack in your fridge and happy stacking!